People with a family history of type 1 diabetes can now conveniently participate in free screening to help find ways to delay or prevent the disease, even if they live far from a study site. This alternative to site-based initial screening comes as modern technology enables more secure online registration for medical research. While deaths from stroke and several other chronic diseases are down, deaths due to chronic lower respiratory disease increased in 2008. Stroke is now the fourth leading cause of death in the United States, down from the third place ranking it has held for decades, according to preliminary 2008 death statistics released today by CDC’s National Center for Health Statistics. A team led by researchers at the National Human Genome Research Institute (NHGRI), has captured the most comprehensive snapshot to date of DNA regions that regulate genes in human pancreatic islet cells, a subset of which produces insulin. The study highlights the importance of genome regulatory sequences in human health and disease, particularly type 2 diabetes, which affects more than 20 million people in the United States and 200 million people worldwide. Millions of Americans may have chronic kidney disease (CKD) and not know it, according to a study appearing in an upcoming issue of the Clinical Journal of the American Society Nephrology (CJASN). In a study funded by the Centers for Disease Control and Prevention, Plantinga and colleagues analyzed a nationally representative sample of about 8,200 Americans from the National Health and Nutrition Examination Survey. Standard laboratory tests were used to assess the rate of CKD, focusing on people with undiagnosed diabetes or prediabetes (sometimes called “borderline” diabetes). Based on lab tests, 42 percent of subjects with undiagnosed diabetes had CKD—similar to the 40 percent rate in those with diagnosed diabetes. “Only a small percentage of participants were aware of the diagnosis of CKD,” says Plantinga. 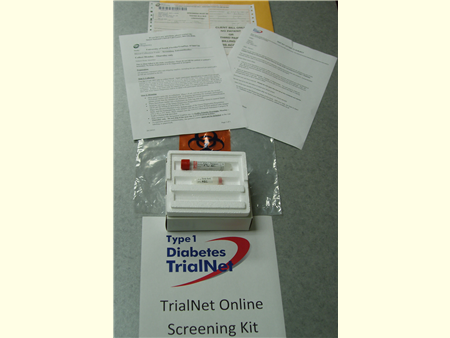 In addition, CKD was present in nearly 18 percent of subjects with prediabetes. Among participants without diabetes or prediabetes, the rate of CKD was about 11 percent. “Based on these results, there may be a substantial number of individuals in the United States—up to 13 million—who have undiagnosed diabetes or prediabetes and who already have signs of kidney damage and/or reduced kidney function,” says Plantinga. Such patients would be at high risk for worsening kidney disease and diabetes, and for the poor outcomes associated with both conditions—including cardiovascular disease and death. In an accompanying editorial, Gary C. Curhan, MD, ScD (Brigham and Women’s Hospital, Boston, MA) calls for CKD screening to be extended to patients with prediabetes. Curhan also suggests that it may be time to consider the concept of “pre-CKD”—identifying patients at a very early stage of CKD when the disease may still be preventable or reversible. Although the study shows an association, it cannot determine whether the development of CKD followed the development of diabetes, or whether CKD was actually caused by diabetes. There is also likely some misclassification of both diseases, although the association remained significant when tested under a range of different assumptions. Study co-authors include Deidra C. Crews, Josef Coresh, Edgar R. Miller III (Johns Hopkins University, Baltimore, MD), Rajiv Saran, Elizabeth Hedgeman (University of Michigan, Ann Arbor), Jerry Yee (Henry Ford Hospital, Detroit, MI), Meda Pavkov, Mark S. Eberhardt, Desmond E. Williams (Centers for Disease Control and Prevention, Atlanta, GA), and Neil R. Powe (University of California, San Francisco) on behalf of the Centers for Disease Control and Prevention Chronic Kidney Disease Surveillance Team. Persons with higher levels of adiponectin, a protein that is produced by fat cells and that has anti-inflammatory and insulin-sensitizing properties, have an associated lower risk of type 2 diabetes, according to an analysis of previous studies, reported in the July 8 issue of JAMA. Some studies have suggested several mechanisms through which adiponectin may decrease the risk of type 2 diabetes, although the strength and consistency of the relation between plasma adiponectin and risk of type 2 diabetes has been unclear, according to background information in the article. Shanshan Li, M.D., M.Sc., of the Harvard School of Public Health, Boston, and colleagues conducted a review and meta-analysis to assess the consistency of the association of adiponectin levels and risk of type 2 diabetes. The researchers identified thirteen studies with a total of 14,598 participants and 2,623 new cases of type 2 diabetes that met criteria for inclusion in the meta-analysis. The authors found that higher adiponectin levels were associated with a lower risk of type 2 diabetes. This inverse association was consistently observed in whites, East Asians, Asian Indians, African Americans and Native Americans. The results did not differ substantially by method of diabetes ascertainment, study size, follow-up duration, body mass index or proportions of men and women. “Although these epidemiologic studies cannot establish causality, the consistency of the association across diverse populations, the dose-response relationship, and the supportive findings in mechanistic studies indicate that adiponectin is a promising target for the reduction of risk of type 2 diabetes,” the authors write.